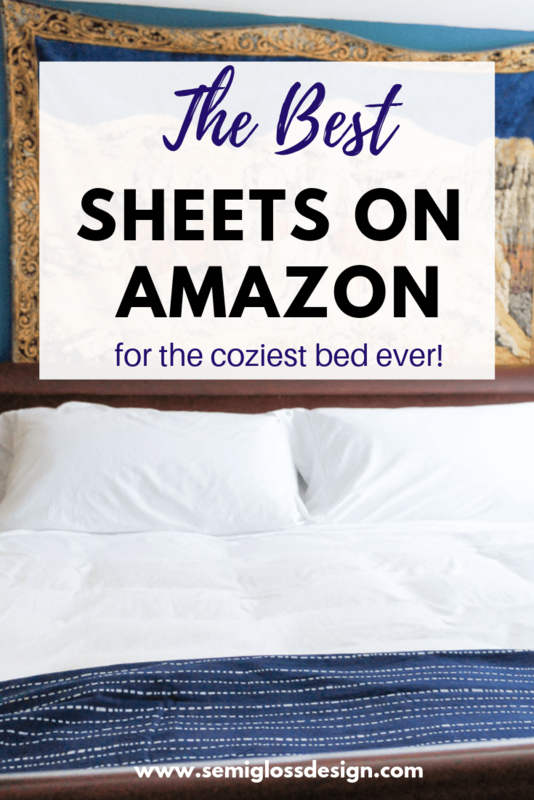 Update your bedding with the best sheets on Amazon! I’m not what you would call a high maintenance person, except for one area: sheets. One time, I went to my dad’s house to visit and after one sleepless night in his scratchy pilled sheets, I had to buy new ones for him right away. There’s just nothing better than crawling into silky, smooth sheets! California Design Den provided me with sheets, but all thoughts and opinions are my own. I would never recommend products that I wouldn’t buy or use on my own. Your support helps me make more projects like this one! I love soft, luxury hotel quality sheets. But I’m a bit of a bargain hunter. My usual sheet buying hack is to the clearance section of my favorite bedding websites and buy sheets in the ugly, discontinued colors. 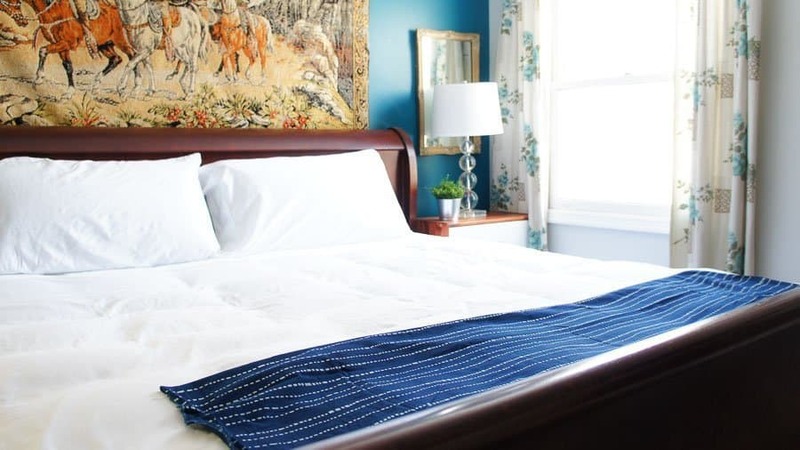 This is a great way to get nice sheets for cheap, but they’re not always the prettiest. Now, I have a new sheet buying tip: buy these sheets from California Design Den on Amazon. 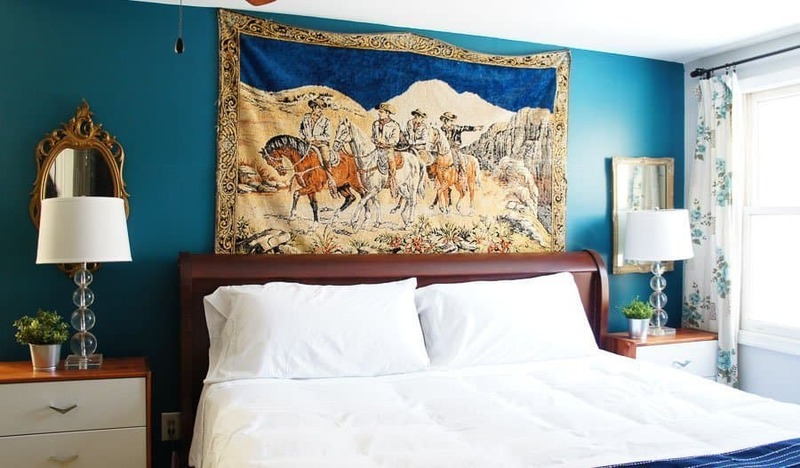 When California Design Den reached out to me to review their sheets, it didn’t take me long to reply! I couldn’t wait to try out their sheets and see if I approved! I received the 400 thread count 100% cotton sheets in king size. 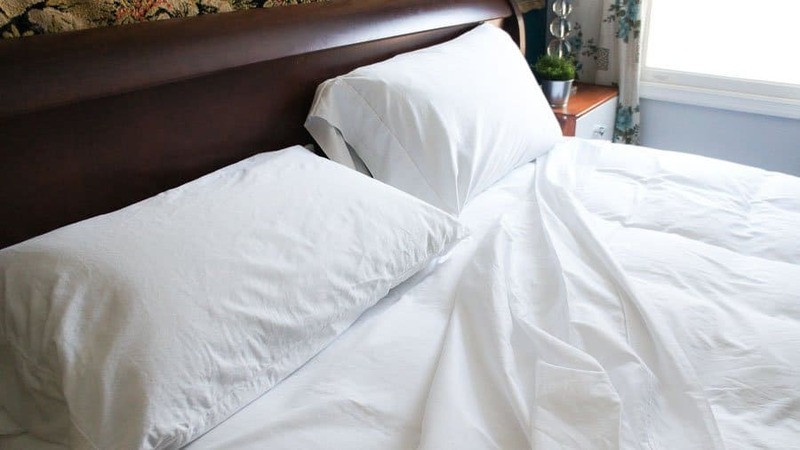 They are 100% cotton with a luxurious 400 thread count. What does that mean in real words? It means that they’re super soft and feel nice against your skin. These sheets are made with anti-pilling fabric, so of course I’m a fan. They have a 16″ deep pocket to fit even the deepest mattresses. Our mattress is pretty thick, plus I just added a featherbed mattress topper to increase the comfort level, so it’s even thicker now. These sheets covered it with room to spare! Each end is labeled with “Head/Foot” which is convenient for bed making. Although, to be honest, I wasn’t paying attention and put them on wrong. They still fit well unlike other sheets I own that are a lot shorter on one size. These fit so well because the entire edge of the sheet has elastic to wrap around your mattress. Not just the corners! 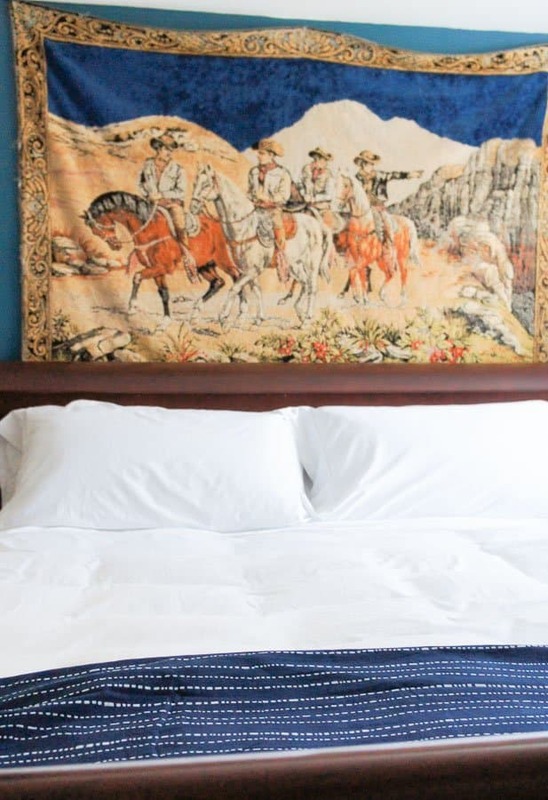 If you have a king size bed, you know that king size bedding is normally super expensive. However, these sheets are very affordable! It’s possible to have several sets in different colors at that price point. The other problem with king size bedding is the size. Normally, the top sheet barely hangs over the edges. However, these sheets are nice and wide. They should stop even the most persistent sheet thieves in your bed. You know what I’m talking about. Plenty of sheet for everyone! I’m off to take a nap, now in my hotel quality sheets! 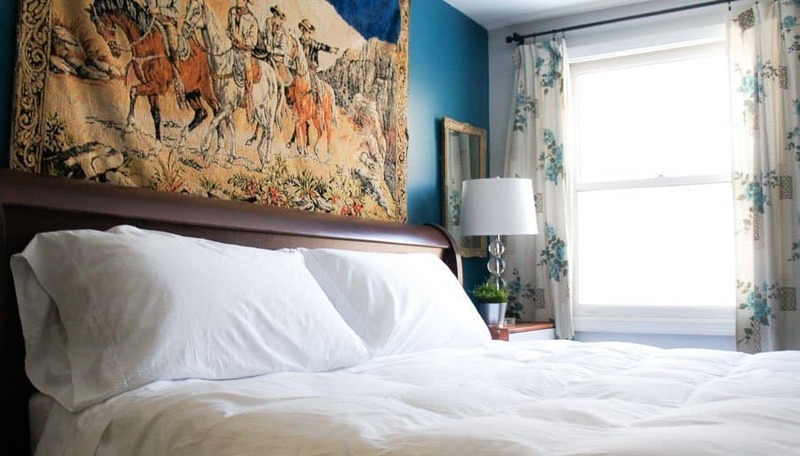 California Design Den carries a lot of other amazing sheets on Amazon. See the entire collection here.